There is no doubt I like alphabet quilts for baby gifts. Not only can they be used in a crib but they can be wonderful wall hangings, easily changing a room into a nursery. The alphabet is also one of the first things kids learn and here it is, easy to refer to and a special part of a child’s early days. 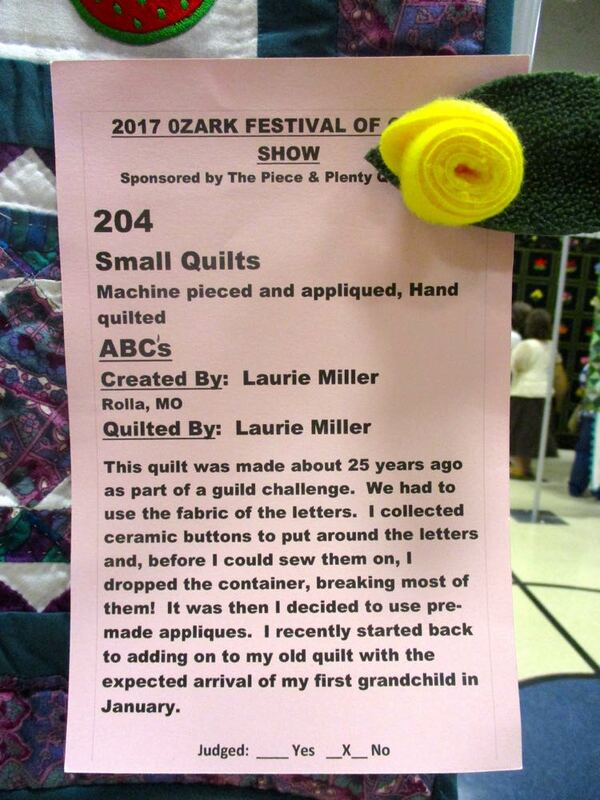 There’s quite a story behind this handmade quilt, starting with what the original intent was with ceramic buttons. You don’t see many on this custom alphabet handmade quilt, which is a story of flexibility and still completing one’s custom quilt design idea. I was just thinking where would someone even find ceramic buttons these days. I can remember picking some up years ago when my mother would make some of our clothes. The ceramic buttons then where the only “cute” buttons then on the market. Today there are a variety of plastic buttons with cute themes, much lighter to sew onto clothes. Each custom alphabet handmade quilt block had cute pre-made appliques, at first it was hard to decide which one to feature. Then I settled on some of my personal favorites - butterflies, bees and bluebirds. 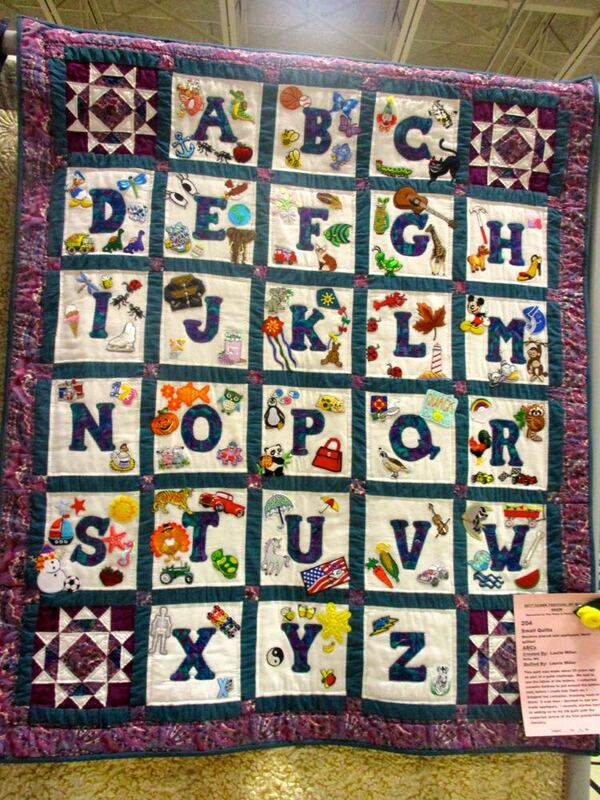 If you can’t make a custom alphabet handmade quilt, you can do something similar with an already-made alphabet quilt like Alphabet in Clouds Baby Quilt. 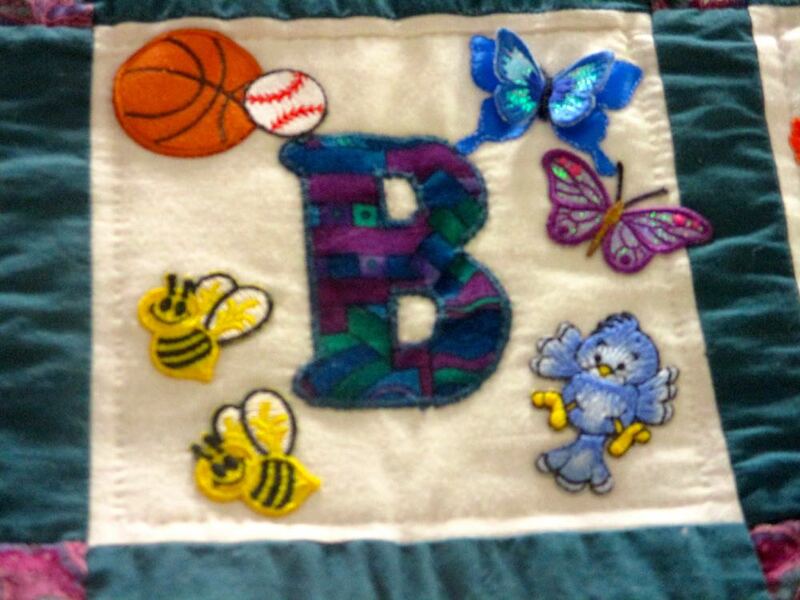 The baby quilt is finished, all you have to do is go shopping for the pre-made appliques. Have fun!